The masked mystery men who fought for freedom in the Second World War have been outlawed. The soldiers and spies who conducted top-secret missions into the unknown now work in the shadows. And those icons who do still fight on -- Superman, Wonder Woman, Batman -- operate under hidden agendas and dueling ideologies. Yet this America needs its heroes more than ever. With darkness gathering on the horizon once more, only a bold new generation of adventurers -- young, daring, and dedicated to the better angels of our nature -- is equal to the challenge of the New Frontier. 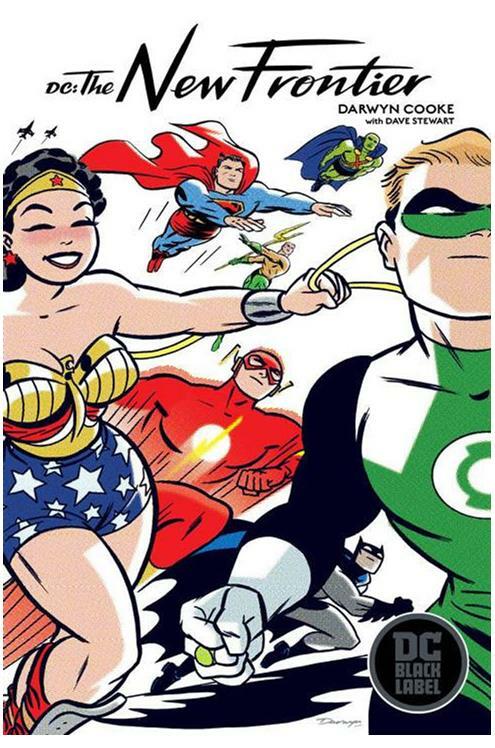 From Eisner Award-winning writer-artist Darwyn Cooke and Eisner Award-winning colorist Dave Stewart comes DC: The New Frontier-- a timeless tale of idealism that has become one of the most acclaimed superhero comics of the 21st century. This edition collects the original 6-issue miniseries together with the Justice League: New Frontier Special, and features over 50 pages of designs, sketches and preliminary artwork from the author..